The Skive Roller is a multifunction tool that allows you to perform skiving (inner surface cutting within a tube ) and roller burnishing processing continuously. Skive and Roller Burnishing Tool is performing cutting and roller burnishing for inner surfaces, which is perfectly suited for finishing of the inner surface of hydraulic cylinders for construction machinery, also suited for Deep Rolling, Cylinder Tube Processing. During the process, you get rid of irregularities in roundness and straightness, that can occur during the manufacturing of these tubes. Furthermore, the tool will produce the required diameter and will provide an optimal surface through the burnishing operation. 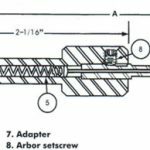 Self aligning and adjustable Reamers : The Self Aligning Machine Adjustable Reamer is developed to fulfill the requirement of micro-adjustable reamer. Burnishing Reamer : New matching techniques require new tools, which in turn lead to new matching methods. Becase skive roller is equipped with a burnishing stage that will produce the required surface quality after the drilling and skiving operation. It is perfectly suited for finishing of the inner surface of hydraulic cylinders for construction machinery. The final finish of the inner surface processing of hydraulic and pneumatic cylinders is achieved through honing or grinding. This constant inter reaction is the driving force which ultimately leads to progress. It is this very factor that leads to continuous development of tools and machine tools. Numerical Control of machine tools represent a milestones in production methods. 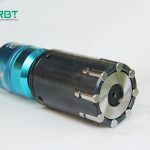 However the increase in operating speed now possible, together with higher precision and production and automation, also places new demands on the tools. RBT Machines is here to assist and guide you through the process. We have professionals who are experienced and well-educated, we will help you find the best burnishing tool for your needs. So, get in touch today and get the best tool that is in accordance with your needs.